This February we had 17 exceptional Volunteers graduate from our Basic Palliative and Bereavement Support Training Level 1! 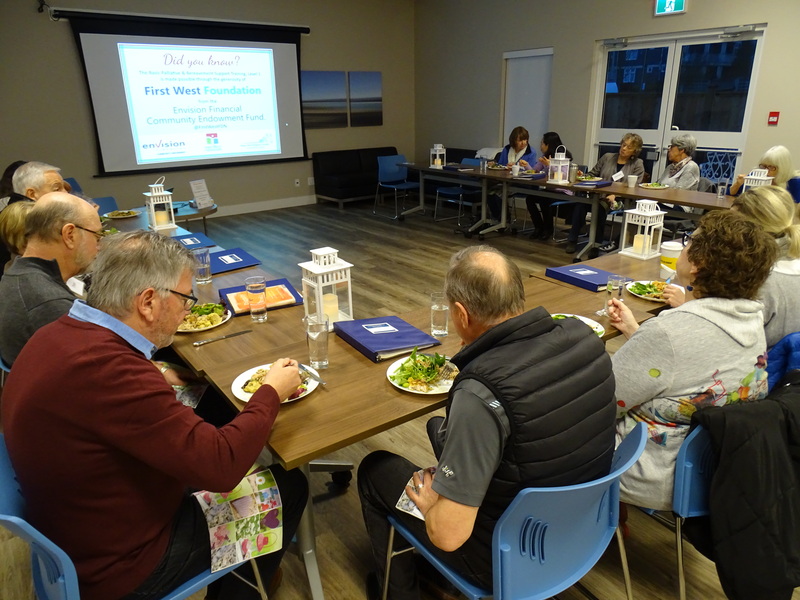 This training was made possible by First West Foundation. It is through their generosity that we were able to specially train these amazing Volunteers so that our residents can benefit by having access to our palliative and bereavement services – all free of charge – which helps strengthen all facets of our community. 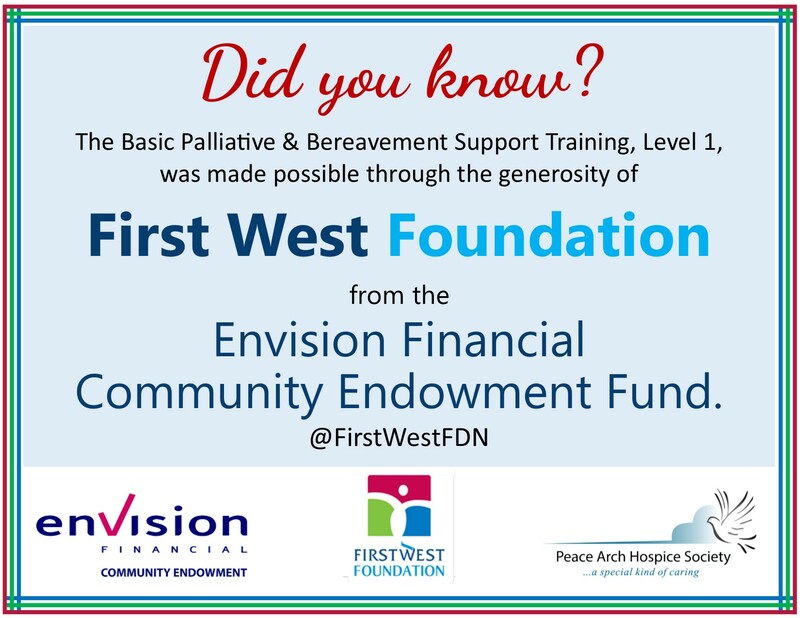 Thank-You First West Foundation and Envision Financial Community Endowment Fund! To ensure compliance with the New Societies Act, our Bylaws were amended. 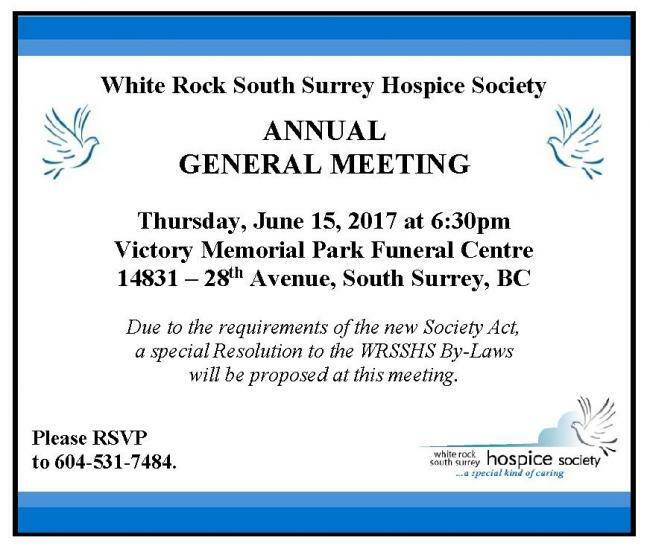 Please click onto the link below to view our New Bylaws which were passed at our June 15th, 2017 AGM.